At the immortal earth all times, remember! In the south-western part of Smolensk, in the V.I. Lenin Park (otherwise — Readovka), there is one of the monuments, dedicated to the memory of Soviet soldiers who died during the Great Patriotic War – the Barrow of Immortality. After the war, in Smolensk, it was decided to set a monument in honor to the heroes, known and unknown, — those who died in the Smolensk region for the sake of future generations. 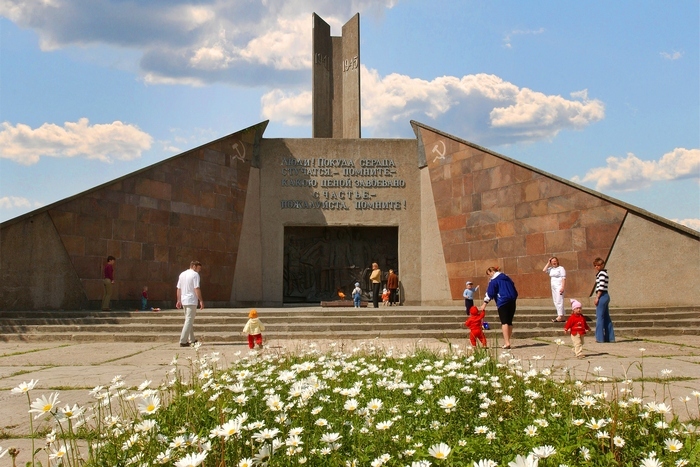 In September 25, 1968 (the 25th anniversary of liberation from Nazi invaders) was founded, and after two years unveiled a monument, called Barrow of Immortality. 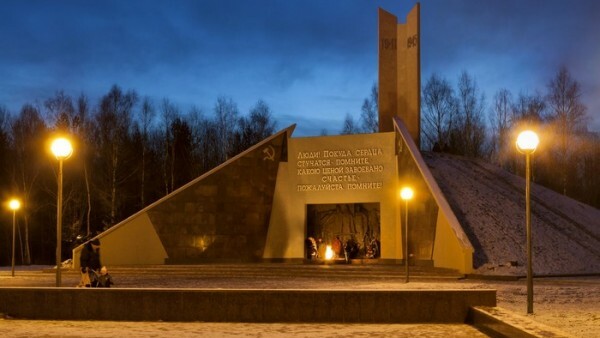 In 1974, a monument was put under the state protection as an object of cultural heritage (the monument of history and culture) of regional importance «The Monument – The Barrow of Immortality, set by the workers of the Smolensk city in honor of those, who were killed in the Great Patriotic War». Above the center of the monument stands an 11-meter stele in the form of an open book. The stated war years: 1941-1945. The eternal flame burns on the granite slab below. In front of the Barrow, on a two-meter granite slabs, there are engraved the words: «Barrow of Immortality set in memory of those, who were killed in the Smolensk land in the struggle against the Nazis invaders for the freedom and independence of our Motherland. September 1970″ The authors of the monument — architect D.P. Kovalenko and the sculptor V.Y. Menchov. From the Chernyakhovsky street to the barrow are four 18-metres tracks. Today, people walk peacefully and enjoy the tranquility of the cozy park here. And we still … still need to keep in mind the millions of Soviet citizens, who gave their lives for this tranquility to become a reality. The eternal memory and the glory to them.